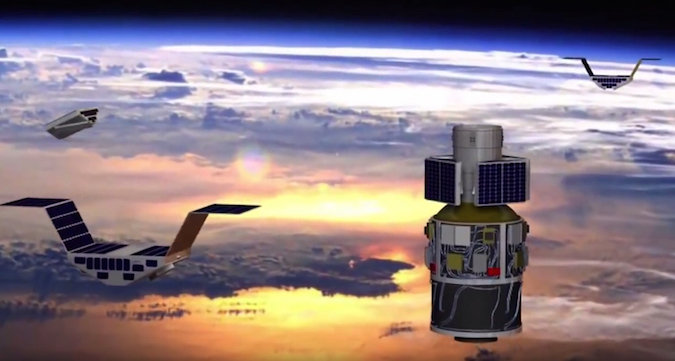 Orbital ATK’s Pegasus XL rocket will take about eight minutes to reach orbit with NASA’s eight CYGNSS weather research microsatellites, then comes deployment of the spacecraft more than 300 miles (500 kilometers) above Earth. 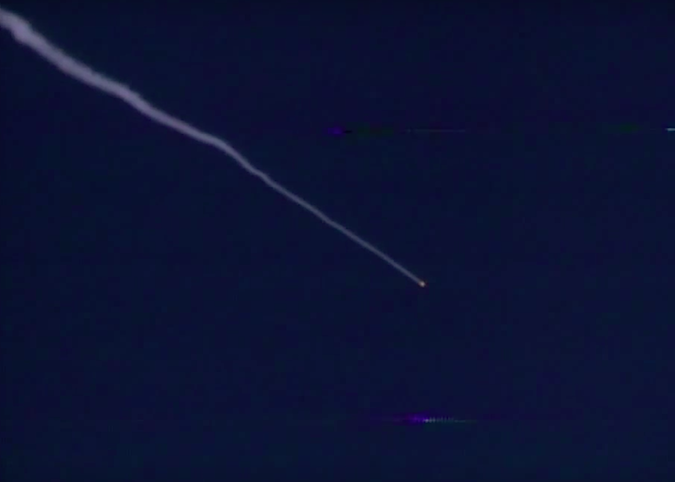 The 51,000-pound (23-metric ton) rocket will drop from the belly of a modified L-1011 carrier plane, named Stargazer, flying on an east-southeast path over the Atlantic Ocean at an altitude of 39,000 feet (11,900 meters). 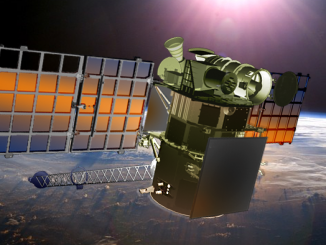 The Pegasus rocket, launching on its 43rd orbital mission, will fire three solid-fueled stages in succession, then release the eight Cyclone Global Navigation Satellite System spacecraft two at a time. The images below were recorded from a previous flight. 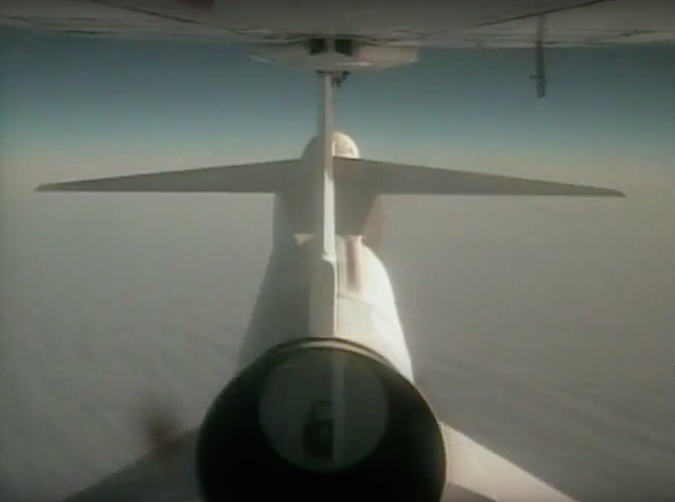 The 55-foot-long Pegasus XL rocket is released from the Orbital Carrier Aircraft off the east coast of Florida at an altitude of 39,000 feet above the Atlantic Ocean and a speed of Mach 0.82. After falling for five seconds to a distance of about 300 feet below the L-1011, the first stage Orion 50S XL solid-fueled motor of Pegasus is ignited to begin the powered journey to orbit with CYGNSS. Between drop and ignition, the Pegasus XL’s destruct system is armed. 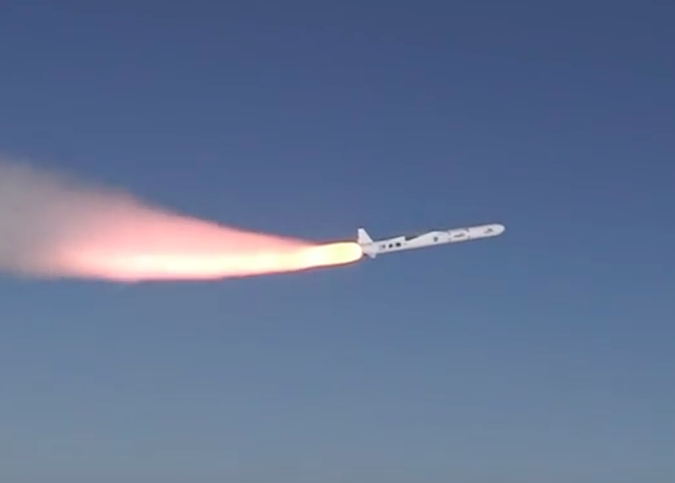 The Pegasus XL flies through the phase of maximum aerodynamic pressure, and the Orion 50S XL continues firing, reaching a peak power level of about 163,000 pounds of thrust. 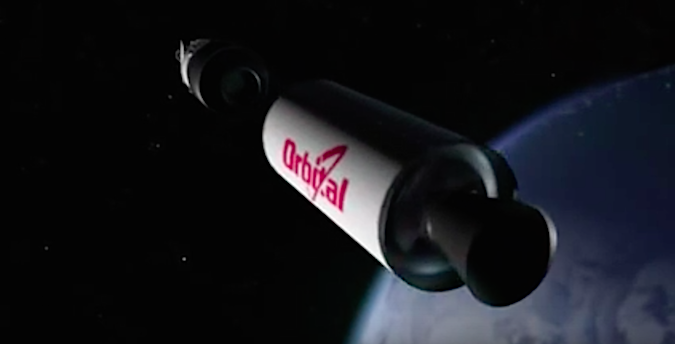 The Orion 50S XL first stage motor consumes all of its solid-fuel propellant and burns out at an altitude of more than 175,000 feet, or 53.5 kilometers. 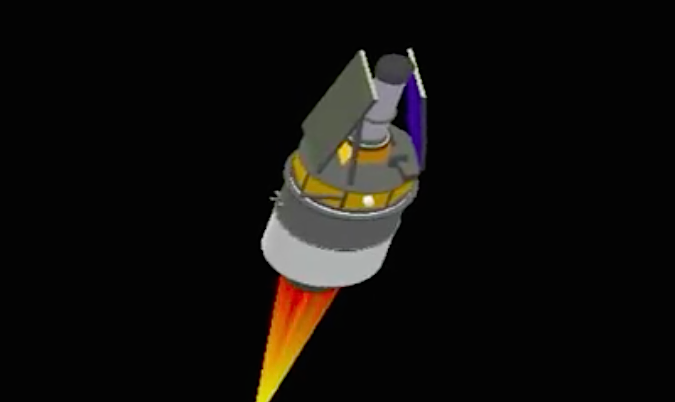 The spent first stage motor is jettisoned at T+plus 1 minute, 33 seconds, to prepare for the second stage of flight. 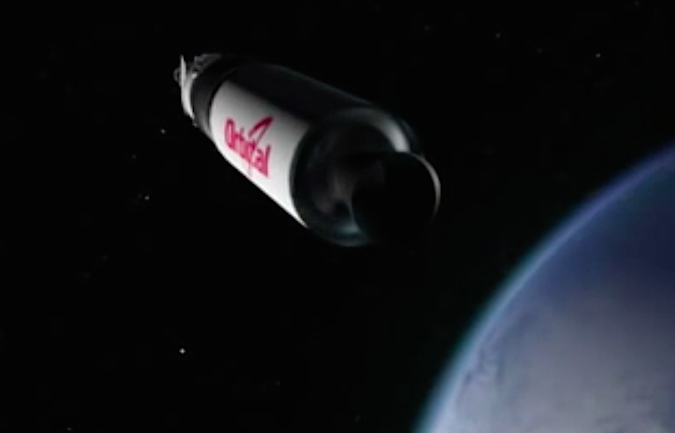 The first stage casing falls into the Atlantic Ocean. 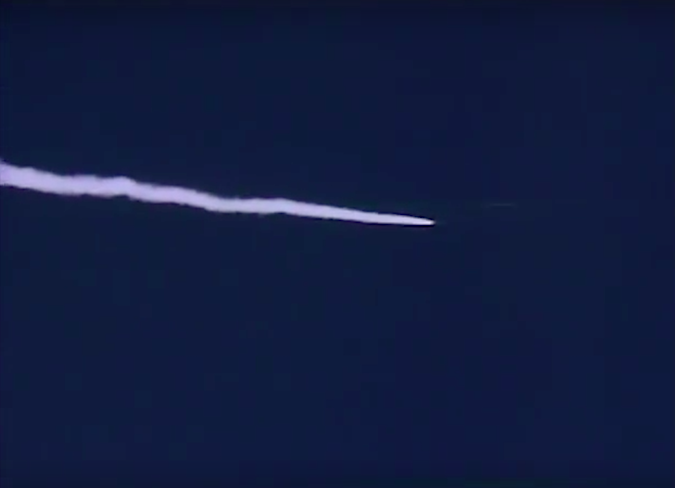 One second later, Orion 50 XL motor ignites at an altitude of 233,000 feet (71 kilometers) to continue the flight into orbit. The 50-inch-diamter (1.3-meter) payload fairing that protected the CYGNSS satellites during atmospheric ascent is separated once heating levels drop to predetermined limits. 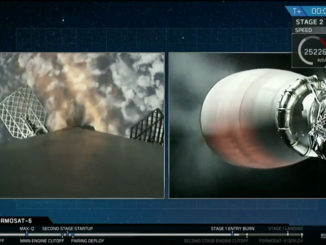 The second stage motor continues its burn with 44,000 pounds of thrust. 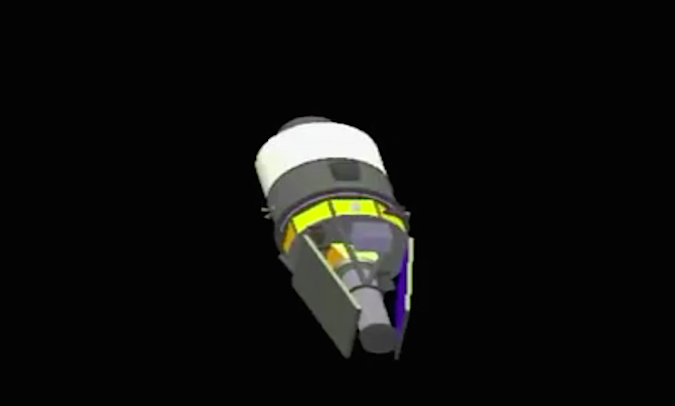 The Orion 50 XL second stage motor consumes all its solid fuel, then begins a four-minute coast phase for the rocket to climb to the targeted altitude for the CYGNSS mission. 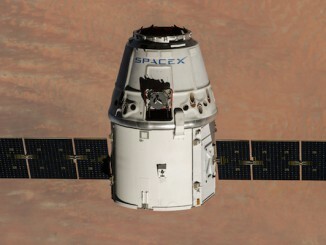 During this time, the rocket’s on-board computer calculates when it needs to ignite the third stage based on the performance of the booster to this point. 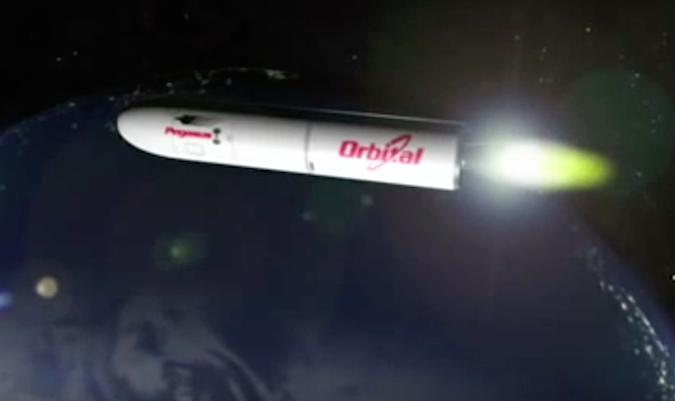 The Pegasus XL’s second stage separates from the third stage. 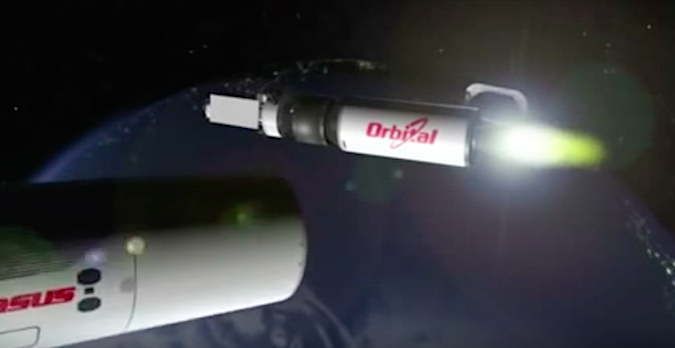 The Pegasus XL’s third stage Orion 38 motor fires for a planned 68-second burn to accelerate the eight CYGNSS microsatellites to orbital velocity. The third stage Orion 38 solid-fueled motor burns out. The mission is targeting a circular orbit 317 miles (510 kilometers) above Earth at an inclination of 35 degrees. The attitude control thrusters on the Pegasus XL’s third stage will re-orient the vehicle for the deployment of the eight CYGNSS microsatellites, which will separate in pairs at T+plus 12 minutes, 56 seconds, T+plus 13 minutes, 26 seconds, T+plus 13 minutes, 56 seconds, and T+plus 14 minutes, 26 seconds. A ground station in Kourou, French Guiana, will be monitoring the separation events.